This book presents an objective, thoughtful and practical explanation of the subjects of death and afterlife. 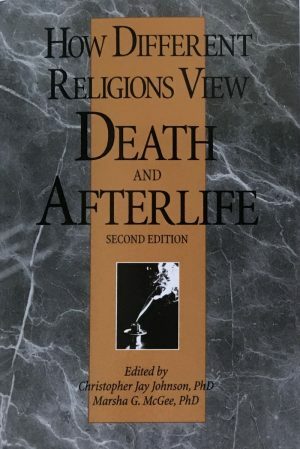 Offering a clear, concise and comparative overview of the teachings and the death beliefs of 19 different religions, this popular book will be of enormous value to all readers who would like to obtain a better understanding of the various ways in which different faiths understand death and what happens afterward. Unlike many books on the subject of religious beliefs, the discourse here is refreshingly objective and entirely non-proselytizing. Each chapter is written by a different expert or scholar who is internationally recognized as an authority on a particular faith. This book will be welcomed by theologians, healthcare professionals, clergy and chaplains of all religious traditions, teachers and students of comparative religion and death and dying, social workers, doctors and nurses, grief and pastoral counselors and funeral directors. George N. Marshall, PhD, DD, . ♦ Who will be saved? ♦ Who goes to hell? ♦ What happens at the end of time and/or at judgment day? ♦ Does your faith believe in resurrection, and if so, will the body or the spirit rise? ♦ What happens after death to people who are not of your faith? ♦ Is there a purgatory or limbo after death? ♦ Will we recognize friends and relatives after death? ♦ Is cremation allowed by your faith? ♦ What does your faith believe happens to people who commit suicide? ♦ Does your faith believe in the concept of reincarnation?